As I contemplate our move into our new house, I am giddy with excitement! 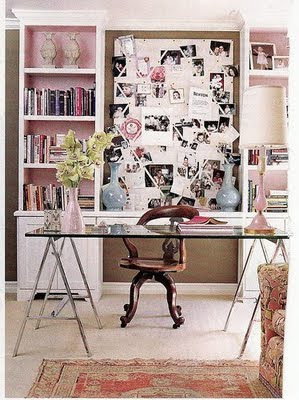 The first room I am going to tackle is my office. Because I work from home, I need a creative space that is functional, cozy and simple. I don't like a lot of clutter so I need lots of shelving and baskets to keep me organized. 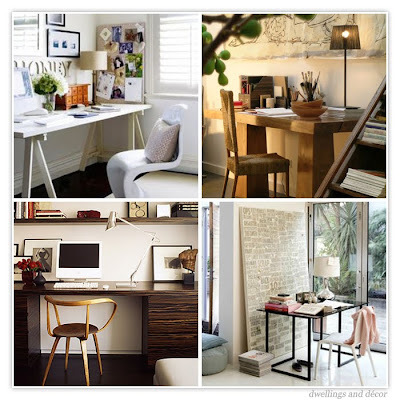 Here are some offices I drool over and ones that inspire me. 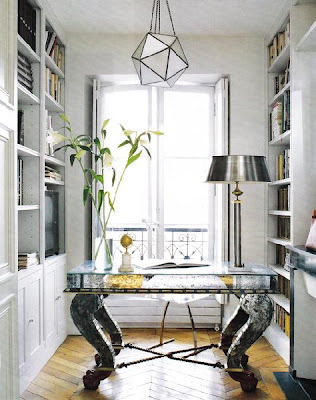 The dark, heavy desk chair grounds the room and contrasts with the simple glass desk. I like the persian rug and cozy chair. Perfect for a cat nap during the long work day. Bookcases flanking the oversized desk is simple delicious. Large pendant light overhead is gorgeous. 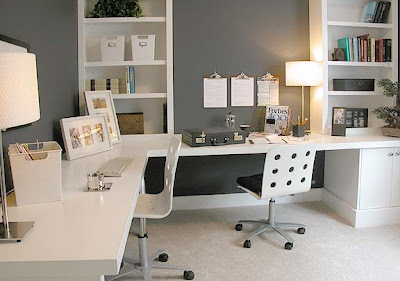 Gray walls and white desk/accessories creates a sleek, clean design.